I am delighted that tomorrow the National Living Wage will increase again, boosting the incomes of the lowest paid by £2000 a year. 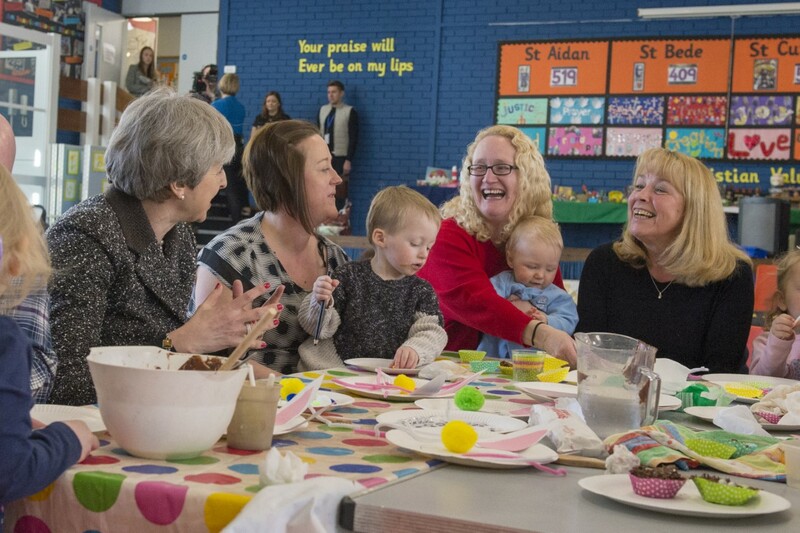 Full-time workers on the NLW will now see a yearly boost of £600 and will earn £2000 a year more than they did when it was introduced in 2016. 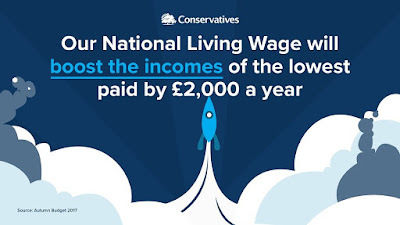 This is great news, meaning that workers will benefit from an increase to their pay. So if you are working tomorrow, make sure that you receive the increase you are entitled to. 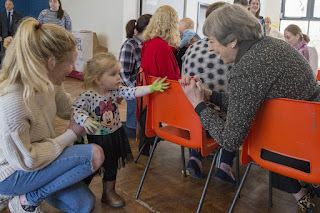 I was delighted to welcome the Prime Minister to Heddon-on-the-Wall St Andrew's School, where she met parents, pupils and teachers as part of her whistle stop tour of the UK yesterday. It was great to be able to show the Prime Minister one of the excellent rural schools we have here in Tynedale, and the children were a real credit to their school and to our area. No one can deny that this winter’s wet/freezing and snowy conditions have been a disaster for our roads. But I am pleased to hear that Northumberland County Council has secured a share from a £100m pot of emergency government funding to fix potholes. 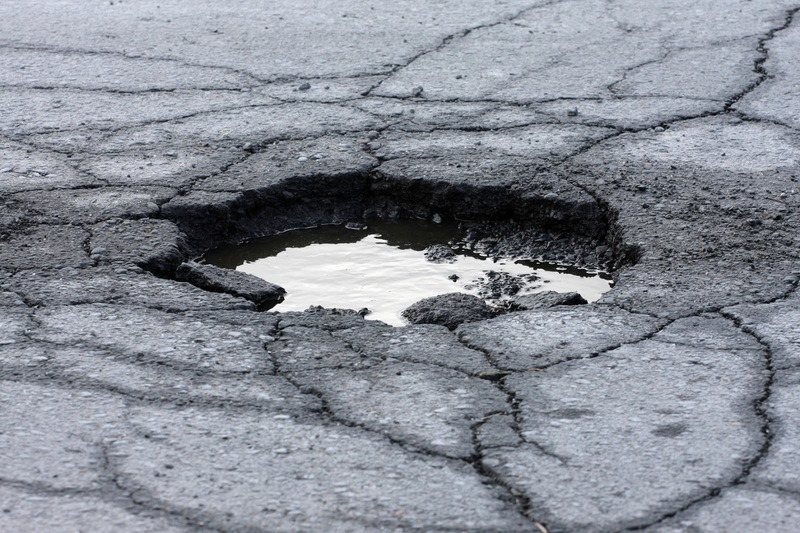 The Beast from the East has left the Council with a lot to do on local roads, but this new funding, along with £930,000 from the Department for Transport’s Pothole Action Fund and an extra £420,000 made available by the Council, is welcome news and will help improve the condition of our roads after a difficult winter. There are an exciting few days ahead in Wylam, and all for a fantastic cause! 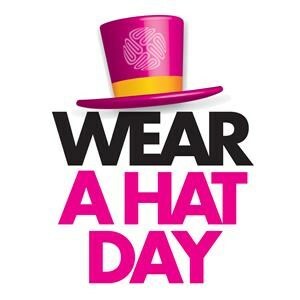 Wylam Wears a Hat takes place on Thursday, with schools, businesses and groups wearing a hat in support of Brain Tumour Awareness Month. 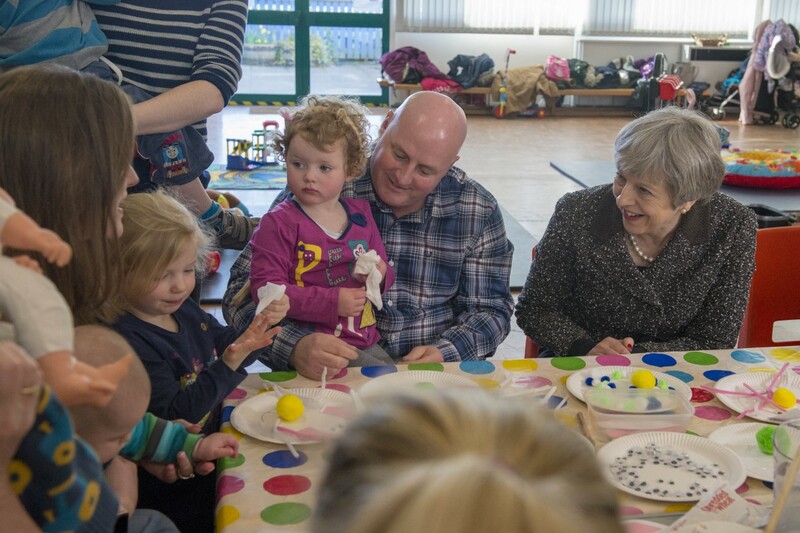 Children from Wylam First School are wearing a hat to school today, and on Thursday hat-themed events will be taking place all over Wylam. The library is having a story and craft afternoon from 2pm-4pm, while The Ship Inn and the Wood Oven will be serving hat-themed cocktails and pizzas. Meanwhile The Black Bull will be holding a raffle with a variety of prizes to be won and The Fox and Hounds are running a quiz, to name just a few of the events being held in Wylam this week. As a brain tumour survivor, I know what a huge difference the funds raised will make. I attended an event in Wylam last year- it was great fun as well as raising money for a wonderful cause, and I am delighted to see that Wylam is coming together for Brain Tumour Awareness Month once again this month! If I can possibly be there, I will be. Local businesses- use them or lose them! 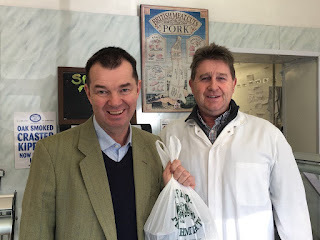 It was great to be able to pop by and meet Tom Stephenson at WMH Farm Fresh Meats in Haydon Bridge and do my meat shopping. The business is shortlisted in the butchers’ category at the Countryside Alliance Awards, also known as the Rural Oscars. The northern winners in each category will be announced soon, with the winners going through to the national final in London, which has the Environment Secretary Michael Gove as one of its judges. 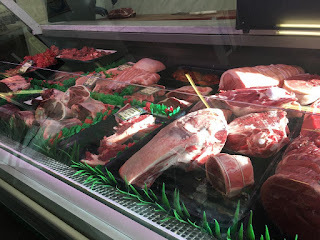 WMH Farm Fresh Meats gets all of its meats from local farms, so it is a fantastic example of our brilliant local businesses. It’s so important to support local businesses which are the lifeblood of our communities- use them or lose them. Volunteers wanted to help save lives! 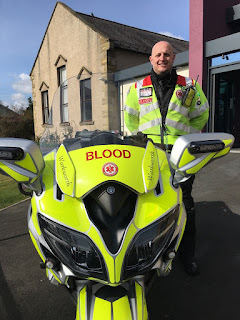 Northumbria Blood Bikes is an incredible charity that helps to save lives by delivering essential blood and urgent medical supplies out of hours between hospitals and healthcare sites in the North East. Hospitals rely on these blood bikes to transfer urgent medical supplies or test samples between hospitals out of hours, and Northumbria Blood Bikes offer to carry out this service free of charge to ensure that NHS resources can be used elsewhere. Yesterday was Sport Relief, and as of last night an incredible £38 million had been raised for charitable causes. 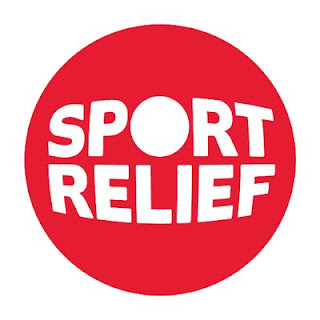 The event helps vulnerable people in the UK and around the world, and thanks to the extraordinary fundraising achievements of people all over the country, this year’s Sport Relief once again looks set to change lives. Since the last Sport Relief event in 2016, money raised has treated over 900,000 people across Africa with anti-malarial drugs, helped over 3.4 million people in Africa through maternal, neonatal and child health funding, and helped more than 50,000 people in the UK living with a mental health problem. I know that fundraising events took place all over the constituency, in schools, businesses, communities and beyond, and I would like to congratulate everyone who raised money for this fantastic cause for their brilliant efforts. You really have made a difference to so many people. Fantastic opportunity for 18-35 year olds! Money available for community groups- apply now! Celebrate democracy over a cup of tea!